When Mandela was released in February 1990, even the apartheid government didn’t know what could follow. They let him go and prepared for the worse. Even his followers in the ACN expected that violence and forceful revenge will be in order. They were right to think so because even Mandela himself had gone for military training in Algeria in 1961 so that he can develop guerrilla tactics to combat the government of the day. Mandela did opposite of what the whole world expected. As The Telegraph's chief foreign correspondent David Blair reflects, not many people thought that South Africa could peacefully move from racial dictatorship to democracy without a civil war. Nelson Mandela was crucial to making that happen, allowing the black majority rule come in peacefully. Spending 27 years in prison makes him the only single man who could have achieved peaceful transition to democracy; having spent such long years behind bars, no other black South African could question his commitment to the struggle to end apartheid. At the same time, no white South African could doubt that his gesture of reconciliation were heart felt. 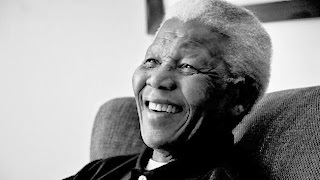 Nelson Mandela was the only man that could have carried out the extraordinary act of forgiveness that was required to burry apartheid and to do it with relatively little bloodshed. Living a tempestuous life, spending more than a decade as a hardened campaigner against apartheid, living mostly underground as he led strikes and demonstration of every kind leading to him being put on trial several times. He was part of a core of activist who opposed apartheid with everything they had from the late 1940s onward. "He was the only person who could have accomplished South Africa's transition to majority rule in a peaceful way, because of his own extraordinary life." Even till his late 90s and towards his death, South Africa clung to Mandela because he remains the link to their great triumph of a peaceful transition to democracy; seeing him more as a guarantor of their historic moment to democracy.